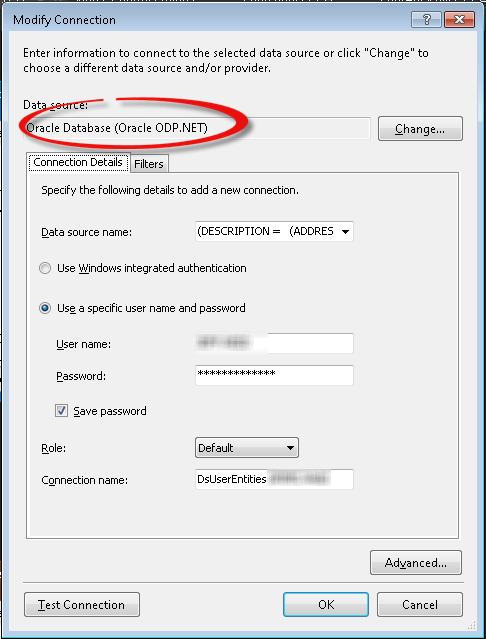 We are helping a healthcare client where they have large oracle implementation. We are moving from legacy client server applications to web based applications. 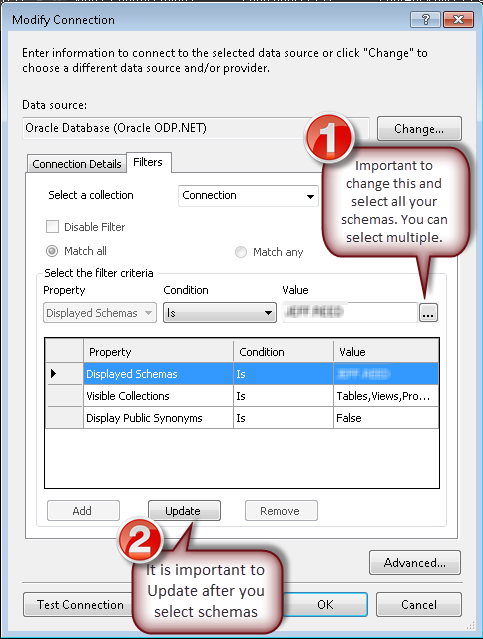 We are successfully able to use Microsoft’s Entity Framework 5.0 with Oracle. Since I am seeing so many hits on my blogs related to this topic, I will create one more useful blog on the same topic. 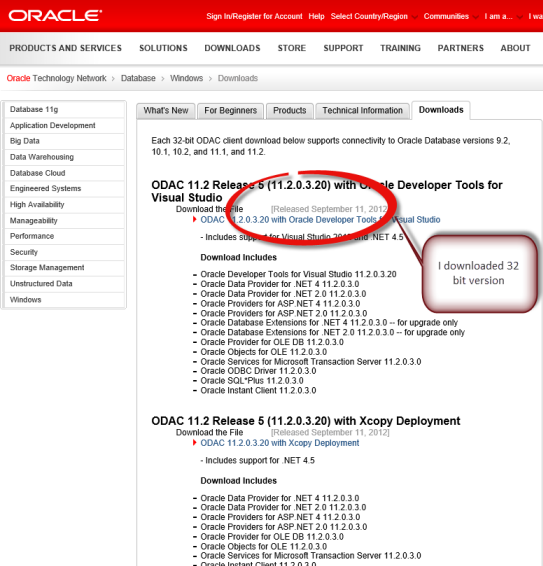 Download and install Oracle Developer tools. This will install the Entity Framework provider that you can use with Visual Studio. Do not forget to install this not only on your development machine, but also on every machine your application needs to run. Select all your schemas, otherwise tables you need won’t show up in the browser to select (to be added on to the EF designer).